Well done to all the Kestrels for their fantastic efforts in Sports day! Wonderful team spirit and sportsmanship! It was a joy to see you cheering the whole class on… as well as the other classes. Thank you to all the family members and friends that came along to support them- a wonderful atmosphere on a gloriously sunny day. 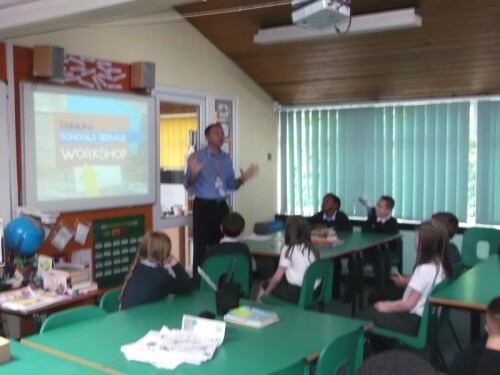 I was especially proud of the class as they thanked Mr Gill for organising the great mornings events, when he came round to see them later in the day. Keep up the impeccable manners and team spirit Kestrels. 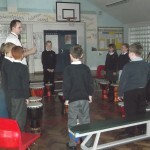 Today Year 5 had a wonderful morning being taught drumming by visitors from Kings Norton Boys School. 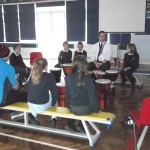 A great experience that they all enjoyed immensely and sounded wonderfully amazing. 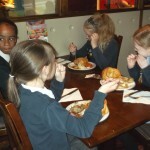 Well done Kestrels, you were a credit to Bells Farm. 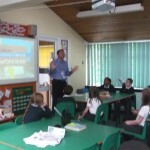 Kestrels were very well informed today when they had an NSPCC Childline workshop. 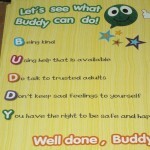 They had lots of very mature discussions around scenarios and dilemmas where they may need to informed a trusted adult. They all looked great doing the dance to remember the Childline number! Well done Kestrels, you should great maturity again. 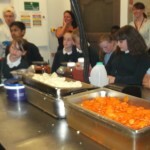 Year 5 Kestrels had a great time on Monday learning about where their food came from and how it is prepared for so many people. 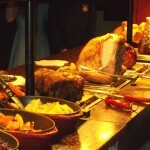 They enjoyed a free carvery and a surprise ice cream. 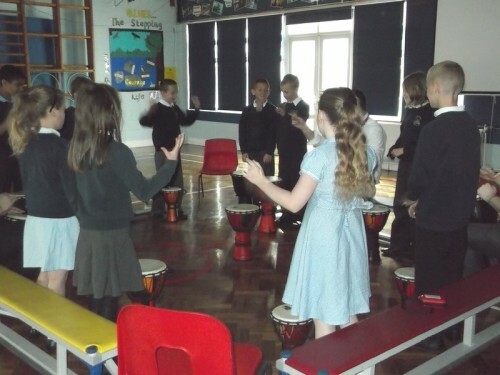 Year 5 have shown their increasing rhythmic skills this week by learning to sing in a round. We sang traditional British songs like ‘London’s Burning’ and linked it with our French too. Have a look at the poem Year 5 have been looking at this week. What do you think it’s about. Is it as simple as turkeys talking? 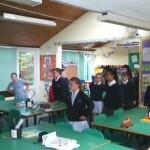 Year 5 are also having a competition to see who can recite the most of the poem by Friday. Why not test them on it in the playground. Year 5 have been working on their rhythm during music so far this term. 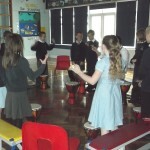 They are developing their listening skills to pick up and maintain a rhythm. 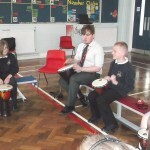 We will now be working on creating and developing a rhythm. Table of the Week winner! 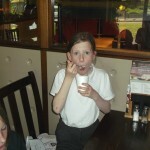 Well done to Holly who has won the half termly draw for table of the week twice. Brandon also won this half term. 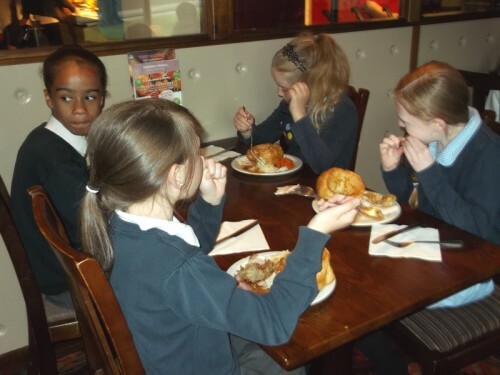 Each child from the best table each week gets a raffle ticket in the pot. 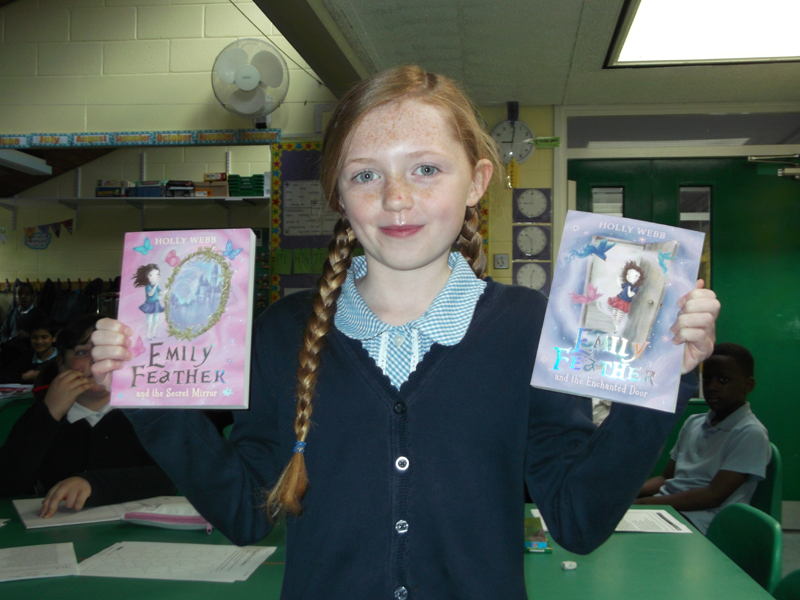 At the end of the term 1 or 2, names are drawn out and they get a book of their choice. Keep going for those table points Year 5, ask Holly and Brandon, they pay off. Extra special prize for the end of the year draw! Congratulations to Holly and Brandon who were picked out of Year 5’s half termly draw for winning table of the week. They will each get a prize; a book of their choice. 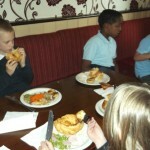 Year 5 remember, the winners will get entered into a draw. 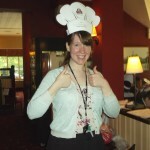 The end of term prize, this term, will be something very special! It’s all to play for, as they say. 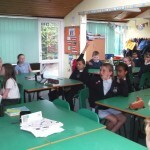 This week Year 5 have looked at change during our circle time. We thought about what we would change if we could run the school, rule the country or change the world. Their ideas ranged from covering the school to furry pink wallpaper and making everyone rich. What would you change in the world, if you could?